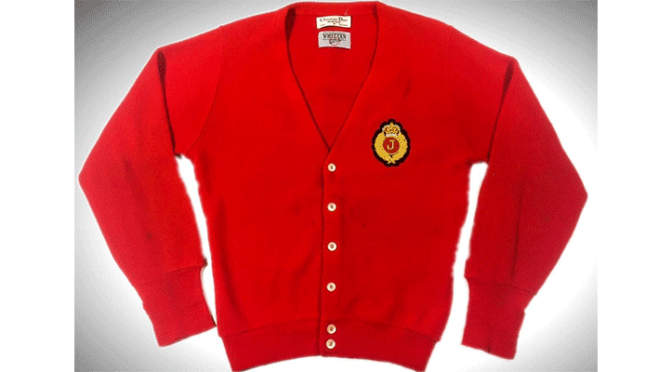 iCollector.com is currently showing the online catalog presented by the Memorabilia Vault. This is a timed auction accepting bids until 6PM Eastern Time on February 7th, 2015. There are 170 lots of autographs, movie props, music memorabilia, and more available for selection. 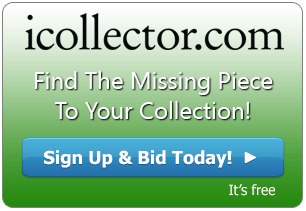 Bidders can view the catalog on iCollector.com and be directed to placing bids on the auctioneer’s website. Bidding is confidential and secure, and the items are authentic and backed by the auctioneer’s stellar reputation. Highlights of the sale include over 75 items relating to the live of Michael Jackson. An outstanding and difficult to find piece is at Lot 126. This is a magnificent glove worn on his History Tour. This is a right handed glove bearing a Dennis Tompkins and Michael Bush label. The letter of provenance details the recipient receiving the glove due to a good relationship with Michael Jackson’s tour management. Quality photos and a full description is available to view on iCollector.com. This is such a desirable piece of music history and is expected to sell to the highest bidder between $20000 and $30000. Another outstanding find in this auction are the original cassette tapes from John Lennon’s last interview before his tragic murder. This interview was done on the afternoon of December 8th following a photo shoot with photographer Annie Lebovitz just hours before his death. This is a one of a kind piece of history, and is a must have for any serious Beatles or John Lennon collector. Bidding is opening at only $750 and this has an estimate of $2000 to $4000. Walt Disney has a beautiful signed animation celluloid up for bidding at Lot 41. This is a Pinocchio animation celluloid painting used in the classic movie. The matting contains a signature from Walt Disney himself. This interesting movie collectible is available for bidding right now online, and bidders can register in a simple and secure environment. Movie and Music collectors are invited to visit iCollector.com and search for the auction by The Memorabilia Vault. All items have a link to place bids through the auctioneer’s website, and the highest bidders will be notified after closing time at 6PM Eastern on February 7th, 2015.